Man oh man….we’re not even deep into Fall and I already miss Summer. Things are NOT looking good for me considering that I live in the Pacific Northwest and it rains allllll Winter!! Gah! So lame!! So what’d I do? 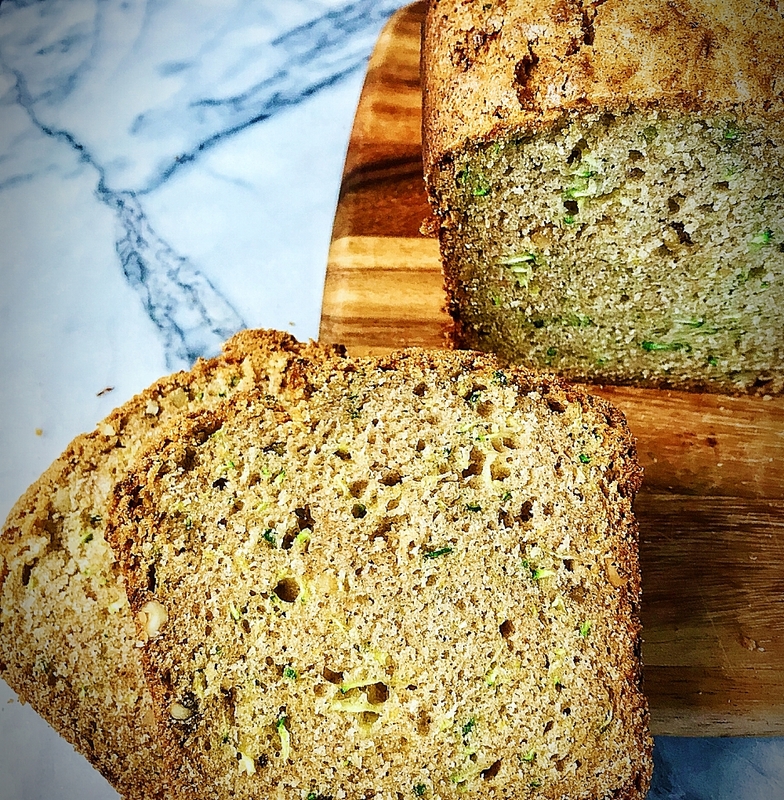 I pulled out some shredded Zucchini, that I prepped and froze this summer, and made some Zucchini bread. What can I say? I associate zucchini with summer and it made me happy. I also made some zucchini risotto but that’s a story for another day. This recipe is super easy- as per my usual style. You don’t need any fancy tools. A wooden spoon and a fork can get you through the mixing. A spatula to scrape all the goodness into the pan and BOOM you’re good to go! I do suggest you Spray the pan well with cooking spray. Personally, I like to first add an over-sized piece of parchment to my loaf or can pans. By doing this you are essentially creating "handles" to easily remove your bread from the pan. If you are making Muffins, line the pan with paper baking cups. Then, spray with cooking spray. YES, I spray the parchment too. TIP: if you are making muffins, you can reduce the cooking time by almost half. 2nd TIP: if you are using a cake pan, don't go bigger than a " target="_blank">8x8 cake pan. You can also use a " target="_blank"> bundt ban. 2. 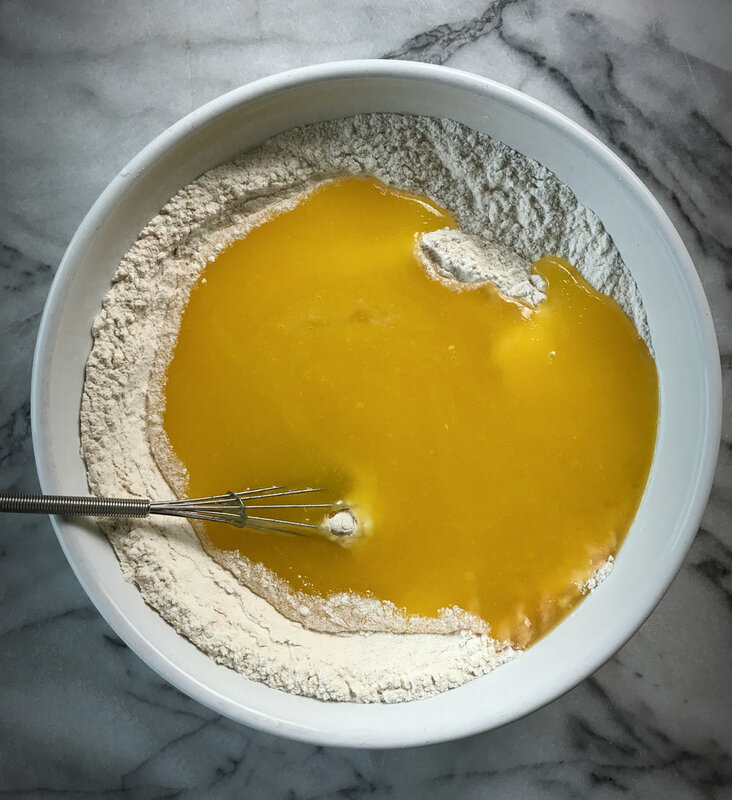 Mix eggs, sugar, oil, and vanilla in a bowl. 3. In a seperate bowl, mix flour, cinnamon, sugar, salt, baking powder and baking soda. Whisk together to mix. 4 Add dry ingredients to wet. Mix in zucchini, nuts, and lemon zest. 5. Spray one " target="_blank">loaf pan or " target="_blank">8x8 cake pan with nonstick cooking spray. 5. Bake for 45 minutes or until a toothpick placed in the center of the cake comes out clean. 6. TIP: if making muffins, line a muffin pan with parchment papers and reduce the bake time to 25 minutes. Yummmmmm……Slather with butter & enjoy! !